One of the aspects of health on the physical level is receiving good nutrition. Unfortunately with today’s ways of shopping, we lack important parts of our nutrition. Most of our land has played out, meaning that essential minerals are missing. Plants need only a few building blocks to thrive, which they receive in the form of fertilizers – NPK: Nitrogen, Phosphorus and Potassium. However that is not enough for the human body and so it is important to supplement your diet with various minerals. Another area where we lack proper nutrition is in the consumption of meats. In earlier times we ate the whole animal, but nowadays we only get pre-packaged cuts of meats. We rarely eat organs and just about never receive the nutrition that is available in the bones. That is where a Bone Broth comes in. It is an abundant source of calcium, collagen, chondroitin and many other trace minerals. 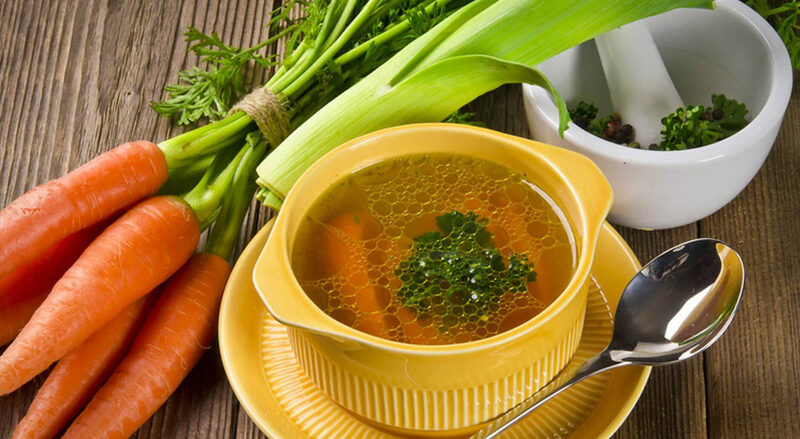 If you wish to know more about the many benefits of a broth, click here to check out this site for more information. Just recently I put a video together on how to make a bone broth, or stock. As an ex-professional chef I can demonstrate the proper way of making it. Just as my healing is done with love, so is my cooking. Whenever I cook I always flow love energy into the food, making is delicious and nutritious on more than one level. I suggest you do the same. Please click below to watch my “Making a Bone Broth” video. It is free and you will learn how to make nutritious food for yourself.